– Translated from the 1940 Swedish Song “Min Soldat” (My Soldier), performed by Ulla Billquist and written by Nils Perne. Here is the link to the Original Song. A few weeks back I presented an initial stab at a Swedish Platoon Organisation for the WW2 era (here is a link to the earlier posting) for Chain of Command. Since then I have been working on some miniatures for the platoon and some of the support options – I will present the work to date in this blog update. I will leave out the work I have been doing on vehicles (armoured cars and tanks, I think that will be a good one on its own) as I have not yet finished the tank markings/decals – but I am working on it with some help from some friends. I want to state how grateful I am to the community when doing something like this, the support from all kind of places with encouragement, the research and offers of help. I even got a fair few of 3D printed models for a Swedish Tank type sent to me by a friend on Twitter. Good stuff! Later blog updates will also show/discuss jump-off markers and some terrain features to make the battle field having a touch of Scandinavia – making it look as Scandinavian as a wargames table with Snake rail fencing looks American! I would like to do an what-if Scenario based on the operational plan developed by the commander of the 25th Panzer Division (link to Wikipedia here), Adolf von Schell, to attack Sweden with a handful of divisions from Norway. This is described at high level in the book “Andra Världskriget och Sverige (2002)” (that translates to: The Second World War and Sweden) by Jan Linder, and contains the following picture. The side note states “Map showing the German Operative study against Sweden the Summer 1943”. Sketch from Ny Militar Tidskrift 1961. The Heading of the Map states “Study of a Operation against Sweden in 1943”. The Map show airborne attacks and the movements of divisions, the two top arrows for the “Operation II” goes through the County were the Roller of Ones was born – therefore I find this potential scenario interesting. I have not been able to find any more information on this operation and if you are reading this and know more – please let me know. It would be fun to do a linked campaign of fighting in some of the areas I know very well from my childhood. ..21,000 men and fielded 14 Panzer II tanks, 62 Panzer III, 26 Panzer IV, 40 Hotchkiss H39, 15 Somua S35, and 15 Self-propelled assault guns, such as the StuG III. In reading the old manuals there are a few changes required to the original list that are summarised below. I will update the Platoon document at a later date. (i) Due to allocation of runners, I have reduced the number of Riflemen in each section with one. I need to verify this so I did 4 extra models just in case! (ii) The first Section/Grupp had an SMG armed rifleman in the Rifle Team/Gomgången. However, due to shortages this was not always possible, especially early in the period. (iii) The manuals indicate the presence of two Teams/Omggångar and that there are situations when they fight as two elements – one K (Kulspruta / Light Machine Gun) and one G (Gevär / Rifle). Therefore I have re-organised the Platoon organisation in the picture to reflect these changes. This is still work in progress and may change as I read more stuff. For the 1943 to 1945 Platoon I have made the same changes to the organisation. Again, this is an aspirational platoon, and as you can see it offers a significant increase of fire Power with 2 SMGs per section and the M/42 Semi-Automatic Rifle, and in addition the Platoon 47mm mortar and the Anti-tank rifle. I decided to make enough miniatures so that I could field a platoon at any stage of the WW2 period. Following some discussions on twitter and a few other similar projects the 15mm Italians from Flames of War seemed to be a good match for the m/39 uniform. This assumes the M/37 helmet and the M/39 uniform, at the time the latest equipment available. Some units would be equipped older uniforms and helmets, like the earlier helmet M/26 and older uniforms. If you are doing this project in 28mm you could use the fantastic Ådalen Range that depicts interwar Swedes, these are just troops that have not had new kit – the range covers all that you need for the early war (limited poses, and there are no SMGs and the Machine Gun is perhaps a bit dated, but I think it would work and if you even use some of the earlier uniforms in the mix you may get a motley crew of ill-prepared 1940 soldiers), more information here (I have not ordered any, but they do look good. I suggest you contact them first before you make your order – I always do). Anyway back to my 15mm project. 1 pack of ISO101 Italian Artillery Group – gives you crew for your guns as well as some SMG armed gentlemen. 1 No. PL510 37mm wz.36 gun – this is the famous 37mm Bofors Anti-tank gun, used by the Poles, Finns and the Swedens (and others). I also had some Polish Machine Guns from Batttlefront and bought the WW1 Austrian Machine Gun from Peter Pig. This is a picture of an enactor I found on the net, with an older helmet than the M/37. I tend to use Field Drab, then Medium flesh tone for skin, saddle brown for the rifle buts. I put a wash of army paint quick shade on top – soft tone. This is the same models as above but with some swaps and the Mortar Section. Platoon HQ – note the Platoon Sergeant now has a Submachinegun. Mortar Section – built from a casualty Polish miniature and 2 Polish anti-tank crew from the 37mm AT Pack. Before paining – mortar built using a paper clip and a thin spaghetti! In addition there is an anti-tank Rifle for the Platoon, I made two of these conversions. The are based on a kneeling rifleman and I did the simplified rifle from some plastic coated paper clips, it shows better in the picture below. It also shows the simple Snipe Conversion. Three blokes on a base, the Engineering Team for now. Will do some conversions at some point from Peter Pig Engineers. Bofors 37mm Anti- Tank Guns, mix of the Italian and Polish Crew to create these dynamic bases! Perhaps they were not Camouflage painted, but his is a little bit of a what-if so I may perhaps be forgiven. The next one was a little bit trickier, but once I found a reasonable proxy the conversion was simple, using some very thin cocktail straws I bought may years ago. I wanted to mode the Bofors 75 mm Model 1934 Mountain Gun. Battlefront makes the GSO517 7.5cm GebK15 howitzer, it looks like this. Again, using the models from the Artillery Group Pack! And finally some Machine Guns, one using an old Polish MMG set and the other head swapped Austrian WW1 MMGs from Peter Pig. / Hope it was of some interest! I have bought all of the Too Fat Lardies Pint sized campaigns for Chain of Command to date, but I have to admit of not yet played any of them. I have used Chain of Command for some very fun Games in a Finno-Russian Winter war setting and for the Continuation war period. I am currently struggling with time to do any bigger gaming ventures apart from some gaming with the Little One as I spend more time than I would like away from home due to work. He had up to recently not been to interested in Chain of Command but now, out of the famous blue, he would like to do some Normandy actions, so I thought the first campaign Richard Clarke did could work well (and I have to admit I fancied painting some Americans and Germans). I really enjoy the format of the “Pint Sized” campaign books and you can find this one and others on the Too Fat Lardies webpage (link here), you would need the Chain of Command Rules as well as At the Sharp End campaign supplement for the full experience – but I dare say you could use this with any WW2 plutoon based rules and have fun they are great products. The campaign covers the advance of the US 175th Infantry Regiment and their struggles in linking the Omaha and Utah beaches. To play the scenarios you basically need a platoon or US Infantry and a Platoon of Germans, with some support options. I am also using this project as an opportunity to get the Little One a little bit more involved in the terrain making aspect of the hobby, this time we did some roads and telegraph poles – which was great fun and with immediate gratification (at least for us) in the pictures below. The Little one dry brushing a road with great care and precision, I wish I had that dedication but I do not have the time. Joke aside he was a great help and it is nice to have some company doing this kind of stuff. We also did some Telegraph poles that we bought from e-bay, they are laser cut MDF but I think they work very well and saved us some building time and 24 for a fiver (£5) is much cheaper than some alternatives – that perhaps look better, but for us this was perfectly adequate. The one we bought, but I battlefront, Galeforce 9 and I believe Peter Pig does versions too. We did not use the base it came with instead installed them on top of thin washers with superglue (some of them on bases) and made a few damaged ones. We also have a set to winterize for some other theatres, but that is for another colder day. The American Rifle Platoon and the support options is more or less completed – there are a few I have not done yet and I will pick these up from Peter Pig at SELWG. The basic Platoon is based on the Battlefront US Rifle Company pack – this is not the plastic one they are currently selling but the old metal version, it gives you everything you need for the campaign except for some Shermans, Flamethrower, 50 cal. HMG and some Engineers (the new plastic box should do the same too). One of the three Rifle Sections, those Shermans will also come handy for the Scenarios. Some 30 cal. MMG teams in a little bit of an awkward position. That is all we need for the American side, next the Germans…. Had some marathon sessions last week to paint up a company box of plastic Russians/Soviets from Battlefront (Product code SBX33 Strelkovy Company in Plastic, at £28, but I got mine cheaper on ebay), with some additional miniatures from Skytrex (LMG second men, AT Rifles), Mortars from Peter Pig and further SMG men from Battlefront. I did the photos after having based them so there is still some static grass on the figures in some places – sorry! These guys will fight the Finnish Platoon I made earlier (link here). This is an overview of some of the Poses (go back to my earlier posting here as there is a link to a review of these miniatures there from another blog highlighting some issues – I agree with this review). Great models to paint. I used this as a guide for the painting for the helmets, the two uniform colours (drybrush it first then highlight with the same colour) and the boots. However for the bedrolls I used German Camouflage Beige (821 Vallejo) and the for the bread bags (Plague Skin from Warpainter). I gave them a light wash of brown at the end. Using the list from the Chain of Command book we find the following information for a Russian Rifle Platoon. Having placed all that on the table I still had this left. So there is enough for more Platoons for a large game of Chain of Command, or even a IABSG. Whilst I was on holiday in Rhodes, Greece, I painted a Greek Platoon that I had lying around on the lead mountain (here is a link to that one). Below some picture of this platoon. I got really inspired and decided to paint up a platoon of Italian Bersaglieri – Italian light elite infantry with those cool black feathers (actually capercaille feathers). To fight these brave Greeks. By the way Bersaglieri means marksman. I love the intensity in this video showing them in action in the beginning – it is a propaganda video and I have no idea what they are saying and I especially like the part where they are pulling the AT Gun up the slope about 30 seconds in – quality. I have seen these previously on the wargames table in the North African Theatre with the tropical helmets and light coloured uniforms and later in the war during the Italian campaign with a light khaki top and brown trousers. However for the Greek campaign the sources I found suggest a much darker uniform at this point and I have gone for this in doing these. I guess this uniform would work for the attack of Southern France in 1940 as well as for Barbarossa. I had this picture on my laptop but not sure where I got it. It is the colour I was after but I made the shoes in a lighter brown. For the uniform I dry brushed heavily the uniform with Vallejo German Camouflage Dark Green (879) and then highlighted with the same colour mix with Stone Grey (884) at a ratio of 2 to 1 (2 parts 879 and 1 part 884). I painted the helmet in German Field Grey (830). The bread bag was painted in Khaki (988). This is similar to what is advised by Battlefront. I got the models from Battlefront and I used the following packs (unless stated otherwise stated in the text) to make the platoon and the supports (prices in british pounds from Battlefronts webpage, I got mine about 10% cheaper from ebay). I really like the models but there is some flash especially on the two firing rifle poses and some of the rifles are a little bit weak so be careful. I need to get some more infantry Guns and perhaps a small tank, anyway this is the platoon and the support option at this point in time. As a basis for the platoon I used the list from the Too Fat Lardies webpage (link here), however this is a list for a Fucilieri platoon in Africa so may not be correct (if yoy know it is not and are reading this could you please let me know through the contact or comment on this blog). Anyway it is an assumption for now. By the way Too Fat Lardies are soon to issue a new supplement for Chain of Command that maybe will contain further information on the Bersaglieri at this point in time. I am very excited about this as I have painted platoons for Germans, French and BEF (and a few on the lead mountain). In addition they will include rules that will be useful for my Continuation War scenarios as there will be rules for bikes (remember Lt. Eero Perkolas platoon in the movie Ambush [ Rukajärven tie] ) and boat assaults (see this link, if you do not understand why I am excited about this). So really looking forward to this one, for many reasons. The Tenente and one of the Sergente. The Platoon with the two Squads (sorry for the half second squad and the missing Sergente. Anti-Tank Rifle, I made by cuting the head of the normal Italian AT Gun from Peter Pig and replace with one of the head from the battlefront models, and added a Battlefront as a number two. Some SMG armed gents – for later war? An AT-Gun made from a Peter Pig AT-gun and then some left over figures from the packs. Not very happy with this one, but good for now. Earlier (link here) I wrote about my current work situation requiring me to stay away form home in hotels a few evenings every week and about taking back the hobby time in bringing a “painting and basing rig” with me. However there was an issue and I made a promise. Light is a problem in hotel rooms and I have invested in a travel led lamp that will be a very welcome addition to the “rig!” but it is waiting for me in the house at the moment. I will get back to you with my verdict. I find it difficult to focus if I paint in a poor light environment and I quickly get tired – affecting both quality (can’t see properly) and output (can’t do it for long). So something needed to be done. I actually “splashed” out and bought two slightly different lamps and what follow is a little bit of a discussion or a review if you wish. I did not do any research prior to buying these so there may be better and more cost effective ones – this is just my view on the two I did buy. I have no technical knowledge of light and it is just based on my opinion and what seems to work for me – have I caveated myself sufficiently? First out is Ideaworks super bright portable LED lamp, I call this one Gimli. This one folds into a little compact box (13 X 7 X 4.5cm) and is powered by 4 No. AA batteries or by USB cable. I have only used this one using the USB cable so I do not know how long the batteries will lasts. There are also three levels of light that can be used 30%, 50% and 100%. Second is the taller but with more sleek design, MoKo Portable LED Desk Lamp, I call this one Galadriel. This taller but slimmer lamp (23 x 5 x 2.5cm)has an internal rechargeable battery and can also be powered via USB cable. The battery can also be used as charger for your other gadgets (2800 mAh, this in theory is more than sufficient to charge an iPhone from 0 to 100% once) – so a handy additional feature. Further the battery lasts for about 7-8 hours according to the product blur (but there is a deterioration of strength during use). Side by Side – brutal vs elegant (however Galadriel may be a little bit unstable on uneven surfaces). This picture sums it up – Galadriel is the brightest and the most pleasant light – the key criteria for me. So overall I am most happy with Galadriel as the light is better, but in addition she takes less space (they both weight about the same, when Gimli has the 4 AA batteries added) and further she has the added feature as a back-up power bank. I recall one of my University Lecturers saying that price is an information carrier and in this instance it is correct. I used it whilst on holiday and I am more than happy with the product. However, as I now have them both I think I will use them together as this gives the even a better light experience. They are my two Towers. Two Towers in action – great stuff. “Dark is the water of Kheled-zâram, and cold are the springs of Kibil-nâla, and fair were the many-pillared halls of Khazad-Dûm in Elder Days before the fall of the mighty kings beneath the stone. She looked upon Gimli, who sat glowering and sad, and she smiled. And the Dwarf, hearing the names given in his own ancient tongue, looked up and met her eyes; and it seemed to him that he looked suddenly into the heart of an enemy and saw there love and understanding. Wonder came into his face, and then he smiled in answer. He rose clumsily and bowed in dwarf-fashion, saying: „Yet more fair is the living land of Lórien, and the Lady Galadriel is above all the jewels that lie in the earth! The point is whether you are painting at home or roaming the land, make sure that you have good light as it make the experience easier, more enjoyable and less tiring. / Hope that was of some interest, time to put on a few colours and then switch off the light. By the way here is a picture from the movie I referred to earlier Ambush/Rukajärven tie showing the Finnish soldiers with their bikes. You can follow this blog on this page by signing up for an email, or on facebook (https://www.facebook.com/rollaonepage/) or follow it on twitter @Roll_a_one . I often see posts like “What movies/books inspires you to Wargame” on forums and it is an interesting question and very often the answers leads me to find new and interesting potential projects. As I have mentioned on a number of occasions I went to the Cinema when I went “home” to Sweden over Christmas last year to see “Unknown Soldier” based on the book by Linna. It is one of the most famous Finnish books and is set during the Continuation war (you can read more about the book here) 1941 to 1944, between Finland and the Sovietic Union (or Russia if you prefer) – you can find out more about this war here. One of the scenes in the Unknown Soldier movie shows a Finnish attack using assault boats – I really found this scene inspiring and have been thinking about doing a scenario starting with a reinforced infantry platoon, and a half Machine Gun platoon, in six boats pushing forward during a Finnish Barrage off the opposing side (with unknown effect) and with a chance of individual boats being hit by enemy fire, with some possibility of doing the Russian side some further damage with the Machine Gun or perhaps even Rifle fire. Then the boats would be used as initial Jump-off Points and then the scenario would play as a normal Chain of Command (or Bolt Action or whatever platoon based rule set you prefer), with the possibility of having lost units/men on both side before the actual engagement. Here is a screenshot of the scene from one of the movie trailers on the net. Here is the picture. Looks very scary. I recently did a Finnish Rifle Platoon in 15mm (here is a blog write-up) and have got enough miniatures to do another one, however in doing this I ended up with a pile of Finnish Soldiers I did not need. I also had a few boats I had made for another project some time ago (do not ask, but it involved making molds and using clear resin). These boats are not based on the Assault Boat in the pictures and the men, as you will see, on them are more dynamic and all-over the place than would be the case in reality. but I felt inspired yesterday so they had to do – and what the lack in historical or procedural accuracy I think they make up in looking cool! Here are a few pictures on how they ended up, for anyone interested there is a little discussion after this on how they were made and the painting (more writtten as I guide for myself, if I want to do more). Here we go… (all miniatures by Battlefront, from their Finnish range, 15mm scale). I think they are good enough for a game. Thanks for hanging on so far, now some notes on how they were made and some notes for me on the painting. I had six boats I had made previously lying around and I still have the mold somewhere to do more if I need – I used a clear casting resin I had used for some water effects. I cut off the bases on the miniatures and bent some legs when required and tried to get a look of some action maybe just as the boat enters the “final destination” and the section are ready to jump off and attack. I made six boats (yes one is missing), two representing a machine gun team and four representing rifle squads. I then glued each boat on a plastic base (I used two dvd covers) with the front end slightly elevated. I then added some filler around and tried to give it some irregular shape and waviness!. I also added the driver and an very crude engine (using some very thin drinking straws). I will work out something that looks better at some point. Next priming black. let dry and get on with it. Boat painted in Chocolate brown (rough brush or wet brush). I had also added some boxes and bags in the boat and painted these Chocolate Brown too. Mix down the brown a bit and make some detailing making it look a little bit more like a wooden boat. Make rough lines on the side. Drybrush the soldiers with Grey Green (Dark Grey that will be the base for the jacket, be the trousers and the hats). Avoid the boots (let them stay black). Paint the Jackets in a lighter grey. Paint skin in US field drab. Paint leather and rifles brown (note the bread bag is not leather – see notes below). Paint Helmet and breadbag Green (or Brown Violet!). Gunmetal on Rifles and SMG, also the makeshift engine. Paint the base in a dark blue. Next I mixed Mod Podge (but perhaps PVA will do), some white colour and chinchilla sand. Apply the mixture to represent the “disturbed water”. The Sand creates a little bit of an effect that could be mistaken for some foamy water (if you have a good imagination). / that is all for this time, hope it was of some use. Spending a few days in Greece, so I thought I would do a Greek Rifle Platoon based on some Burns 15mm miniatures from the lead mountain, I also had bought a pack of Flames of War Greeks in the past (there is a HQ pack or something). In trying to make what I had into a platoon with some supports, I bought some Italian LMGs (walking and lying down) and AT Rifles and an AT Gun from Peter Pig. Although not strictly the same type of uniforms it did not bother me so I lived with it. As for all these Platoons I am doing I have decided to get them done quickly and the painting is done in that fashion – 2 to 3 sessions per platoon and support – that is it. I based my painting on some great re-enactor images I found on the net (link here). The uniform I painted was basically Vallejo US Olive drab highlighted with Brown Violet. The platoon composition I found on this (link here) really good source that contains a lot of different platoons. Here is the one for the Greek Platoon. The Platoon HQ – Lt. with a gun and I did a second in command as I did not read the list correctly (ignore him for now). One of the three squads. / Hope that was of some interest, now I am doing s##t all for a while. Next up some Russians to fight the Finns, then perhaps some Italian Bersaglieri to fight these Greeks. This week, actually the last few days, I have been working on a 15mm Scout/Recon Platoon for Chain of Command to fight the Finnish platoon I did last week (see here). The organisation of the platoon is based on the list found in the Too Fat Lardies Christmas Special 2016 (link here). They are all from the Peter Pig (link here) range and are in 15mm scale. I really enjoyed painting them and I think they are really nice models. If you are not familiar with Peter Pig, go and have a look at what they do – they have a very comprehensive WW2 range and a lot of specials like different type of Uniforms, Sniper, engineers, etc. In addition Peter Pig has a lot of ranges covering War of the Roses, Samurai, English Civil War, Pirates (and even small 1/450th pirate ships), American War of Independence, American Civil War (and again some naval ships in smaller scale), Vikings & foes, colonial, wild west, great war, Spanish civil war, Vietnam and Modern Africa. Further they sell Scenery and some fantastic rule sets (http://www.peterpig.co.uk/). I could have painted the Scouts in a one colour uniform but were keen to have some kind of camouflage to make them look a little bit cooler. Artizan design have some very useful Painting Guides produced by Mick Farnworth on their webpage (link here), I found one showing Russian Leaf Patterns that I liked (link here) with only two nice contrasting colours. I then found two good colour matches (Vallejo 886 Green Grey and 887 Brown Violet – it may be called US Olive Drab nowadays). It is great to have these kind of guides. I just place paints until I find matches. Then I painted the Uniform in the 887 and made small random dots with 886 on top and I think it looks good from the distance they will be looked at. Very happy with the test model. It certainly looks like he has some kind of camouflage on him and it looks good enough from here (yes I have since sorted the moustache from that skin tone). Black boots, some gun metal, light brown on dark brown for leather details and the rifle. US field drab on skin, highlighted with Medium Skin tone. Relatively quick to do but be careful with the dots – I used a fine detailed brush for this. Anyway, here are the completed miniatures. Due to work I currently spend about 2 nights every week in hotels – it is a little bit of a change but I thought I make the best of it. I am already getting tired of hotel bars. I have decided to do some painting on these evenings, if I can, and have set up a little “paint-rig!”. Not very high tech and based on three old VHS boxes, and the system is modular as you can add more boxes ;). The set-up! – (1) basing box on the left. The dark brown base, the three tone for dry brushing on top of the base layer, pva/water mix for static grass, superglue for tufts, tufts and 2 colours of static grass in bags under the paints! (2) Colours needed for current paint project in the middle box (10 Vallejo bottles can easily be fitted) and (3) the brushes and miniatures (magnetic sheet in the bottom, magnetised washers for bases, primed grey and black washed, ready for painting). Piece of plastic for the paint, a little bowl of water and some paper, and your favourite podcast or audiobook on the iPad. 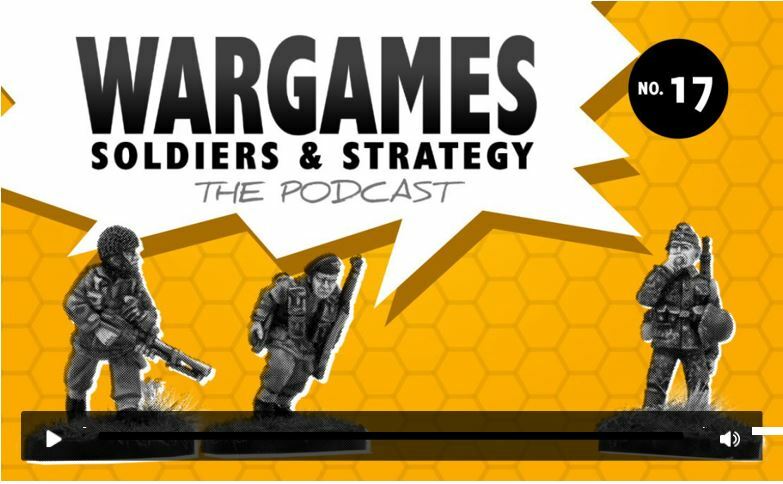 With regards to Podcast there is a new one out from the Wargames Soldiers and Strategy team that I enjoyed whilst painting yesterday, it is about participation games (link here). I wrote a blog a few weeks back that relates to this about engagement at wargames shows (link here). Give it a go. I also plan to do 4 No. platoons of normal Strelkovy/Russian Infantry and I won a new box of Battlefront plastic 15mm Russians for £18 including postage from Ebay (they retail at about £26). I checked them out and I like them and think they will paint up nicely. I also looked at Plastic Soldiers company pack but decided to start with the Battlefront ones – perhaps I get a PSC box in the future. Since then I found out that the Battlefront ones are bulkier than the PSC ones and may not work together that well (thanks Ignacy Kurowski). 12 No. Junior Leaders with SMG (there are 12 No. in the pack). 12. No. LMG with 2 crew (there are 12 LMG soldiers in the pack but I would need 12 more Russian riflemen. I have some lying around I think). In addition it comes with 6 No. MMG. These should keep me busy for a while!, but I will not start it until my Greeks are done (another story) and I have enjoyed a few weeks of leave. / Hope that was of some interest!, back in a bit. If you follow this blog you are aware that most of my projects end up getting some kind of Nordic twist in the end. The Little One and I have enjoyed the What a Tanker rules (link here). We have been playing this during the 1944 Summer offensive of the Finnish Continuation war. In two earlier blogs I wrote about a Finnish Career ladder based on tanks actually available as well as tanks that could have been (more in the links here and here). In doing this I felt that I wanted more continuation war so I have painted up a Platoon of 15mm Finns from Battlefront (the same guys who makes Flames of War) and some supports, that I intend to use for playing Chain of Command by Too Fat Lardies (link here, but I suppose that the platoon can be used with any WW2 Platoon based rules). Incidentally Osprey’s book vote this month offers the following potential title (with only a few days left). From June 1941, Finnish troops fought alongside German and other forces against the Soviets. After recovering territory lost in 1940, the Finns participated in the siege of Leningrad before facing a renewed Soviet onslaught in mid-1944. In my option there is far too little produced on the Continuation War in English – if you find this period interesting please click and vote here. Back to the platoon. Relatively straightforward, here is a Rifle Squad. The Finnish squad, the Alikersantti (Corporal) in the Front with a Suomi Submachine gun, leading his squad of six rifle men, submachine gunner and a light machine gunner (the domestic Lahti, that was relatively unpopular but since I do not have any with captured Russian LMG this will have to do). The LMG comes in the Jalkaväki Platoon (FI702), this is standard infantry, see more below of what the pack contains (however I have had some variation in the content for the packs I have bought). To get sufficient amount of SMGs you need to buy the Jääkari Platoon (FI703). This will give you what you need. I made all the squads the same combination of miniatures. …and finally the company command (note that the runners are not included as per normal Chain of Command praxis). In a discussion on the Too Fat Lardies forum the potential of more Submachine Guns in the squads were discussed (link here), so I did a few more submachine gunners (some of them have very big hands!). In addition the Finns were equipped with both Panzerfaust and Panzershreks in the Summer of 1944. Some punch against those Russian Monsters! (They were being used from June 1944). The Panzershrek was called Panssarikauhu by the Finns and the directive was to repaint them in Finnish Camouflage Colours before being used – I need to rectify that or pretend it was pressed into service without a repaint. The Panzerfausts were called Panssarinyrkki. Before this (and after) the Finnish infantry man would have used Anti-Tank Mines, Anti-Tank Rifles, logs and Molotov cocktails in trying to stop the metal machines. I will try to get some more types of anti-tank guns and also some Anti-tank rifles, but in combination with the tanks I already have (see the link above) the force is ready to go and try to stop the Russian Onslaught. FI702 Jalkaväki Platoon – 3 officers (one with pistol, the other with binoculars), 5 NCOs (I think, 3 Rifle and 2 SMG), 1 SMG man with AT grenade, 4 LMG, 29 Riflemen. FI706 Pioneer Platoon: 1 officer, 5 NCOs (I think, 3 Rifle and 2 SMG), 13 Pioneers with AT grenades, 18 Riflemen, 2 Flame-throwers. You can buy this directly from the Flames of War website, your favourite retailer (like element games) or occasionally get some good deals on ebay. The total cost for the above, excluding the Pioneer Platoon, is about £55, excluding postage. This gives a lot of spare miniatures but I have a cunning plan for those at a later date – it is from one of the scenes from the recent Finnish 2017 blockbuster “The Unknown Soldier”. Here is a trailer that contains the scene in question., 54 seconds in. I actually bought the Pioneer Platoon pack, but as for variety and uniqueness it only offers the flame-thrower model. For £12 to £14 for a pack it is perhaps not really worth it, anyway here is a flamethrower team. I also have some gents carrying Anti-tank mines, they can also serve as an engineering team, or part of a anti-tank hunter section (with the Panzer knockers! above). The platoon can now report for service, where is the enemy?. Привет (Hello), Roller of Ones, Now get you act together and do my platoon! Note to self, paint used for the project.